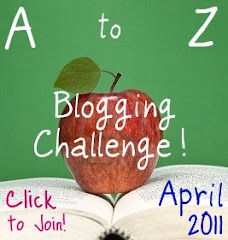 Today is the eighth day of the A-Z Blogging Challenge. Just to remind you, I’m doing an A-Z of human emotions, feelings and mental states.Today is the letter H and I’m going to write about Hope. In the broad sense, hope is the belief in a positive outcome, but we use the term in many ways. When we say “I hope it will stay sunny today”, what we really mean is that we wish it will stay sunny, but we do not neccessarily believe it will. However when we say “I still have hope that thinks will work out okay”, we mean that there is a part of us that really believes that thinks will work out. Hope can be a positive emotion that strengthens and comforts in times of hardship, despair and grief. A small hope that things will get better, however faint, can be the one thing that keeps us going, stops us from giving up on love or life altogether and motivates us to keep trying again and again. Hope can work wonders- how many times have we read about how the positive attitude of cancer patients has helped to heal them? For religious believers, hope in the afterlife can make it easier for them to deal with the bad things that happen in their life and trust that God has some splan for them. But hope is uncertain it is not the same as knowing something. We value hope when the positive outcome is more certain, but sometimes we are afraid to hop when the stakes are too high incase it’s false hope and we are left disappointed and hurt. For example, in the TV show Lost, John Locke doesn’t dare hope that Jack’s spinal surgery could make him walk again, so at first he refuses to give it a go. I can understand why sometimes hope can be both a comforting and painful thing. For the parents of missing children like Madeline Mcann, their hope is what keeps them striving to find their children. They never give up because they hold a small hope that they might find them safe and sound. But at the same time, their hope must be cripplingly painful- imagine the way their heart skips a beat when they see a similar looking child in the distance, or hear about a police lead that turns out to be fruitless. Hoping and being disappointed repeatedly can be a devestating experience, and can lead us to stop hoping all together. But I still think it’s important to keep hoping. It’s better to keep going, to keep trying, to keep believing, than to give up and miss out on the very opportunities that might lead to success. In a world full of crime, war, hate, poverty and destruction, we need to hope that there are good people out there and that we have the power to change things for the better. Otherwise we would just sit back and let these bad things happen without ever trying to make a difference. What is your perspective on hope? Do you allow yourself to hope freely in order to keep you positive? Or do you think hope is useless and prefer to think about things that you know for sure? I think hope is the most necessary thing in the world. That's where drive comes from, the ability to do great things. Hope is best when paired with effort, when you are actively bringing about the change you desire. I love that you're A-Z blogfest entries are about emotions, feelings and states of mind. So are mine and Jessica Bell's! We've teamed up together and are working off a list of words. Each day we use our prompt word and develop micro-fiction scenes where characters 'show' the emotion/etc. We ask readers to guess the prompt word based on our entries. Great minds think alike, for sure! Ninety percent of life is the attitude. Ten percent is the situation. I agree, hope is important. We all need hope. Especially to get an agent's interest. LOL. I enjoy reading all your posts. Hope is good! Good post. I did hope too!